In today’s poetry news, we take a look at the life of Stanley Plumly; a former poet laureate from Maryland who was an authority on the poet John Keats. Stanley Plumly who served as the poet laureate for Maryland from 2009 t0 2018 has passed away at the age of 79 from complications of multiple myeloma. Plumly was a poet and a professor at the University of Maryland. He was also the state poet laureate for 9 years and had several well-regarded studies published on a number of literary and artistic subjects. He also had several volumes of poetry published which drew their inspiration from his roots in rural Ohio as well as his love for the Romantic poets of the early 19th century including John Keats. He began working at the University of Maryland in 1985, and during his time there he founded the graduate creative writing programme, which he was still leading until shortly before his death. His poetry was heavily inspired by nature, but he often drew on the troubled and rather dark memories of his youth. His father was an alcoholic who was rather rough and died young, aged just 56. He also wrote a lot of his poems about his somewhat beleaguered mother who had to deal with so much, especially during his childhood. His 2007 book “Old Heart: Poems” was a finalist for the National Book award. However, in his later years, he turned to prose rather than poetry. During this period of his life, he wrote three meditations on poetry which were very well regarded in the literary world and brought him worldwide acclaim. Plumly spent many years researching for the book he not only travelled to London and visited a number of libraries there, but he also travelled to Rome where he rented an apartment above the room where Keats is known to have died. The book explores every facet of Keats life, his personal life and his poetry. “The Immortal Evening”, Plumly’s second book on Keats was published in 2014 and describes a dinner party in 1817 where Keats met the artist Benjamin Haydon and was introduced to William Wordsworth for the first time. It was during this party that Keats first learned about the Elgin Marbles which were later to become the inspiration for a number of his poems. A book that Plumly had been working on; a collection of his selected poetry is due to be published soon. 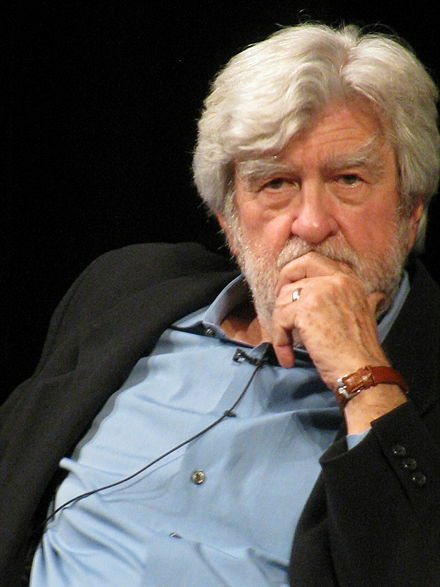 Stanley Plumly is survived by his wife of nine years, two stepdaughters and his sister.